Is A Tankless Water Heater For You? Did you know that heating your water accounts for up to 30 percent of the average home’s energy budget? So maybe you’ve been thinking about replacing your old water heater, and wondering what your options are. Maybe you’re interested in green products, and would also love to have instant hot water available, thus helping you reduce the amount of water wasted as well. 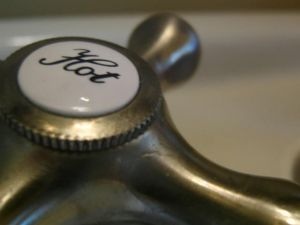 Is it time to turn to a tankless water heater? Maybe not. Gas tankless water heaters use high powered burners to quickly heat water as it runs through a heat exchanger. While they may be slightly more energy efficient, they tend to cost considerably more than a storage water heater, and can take up to 20 years or more to break even. Considering the life of many models is right at 20 years, the savings is virtually zero. Instead, consider a Hot Water Circulation System. A Hot Water Circulation System uses your current storage water heater with a modification. A return line from the last tap on the hot water supply line enters back into the tank via a small circulating pump. 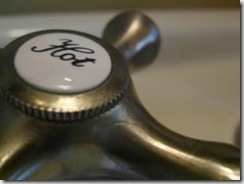 Because hot water is constantly being recirculated, it is instantly available to you when you turn on the faucet. You save by not wasting water, and by getting a full life out of your current storage water heater.